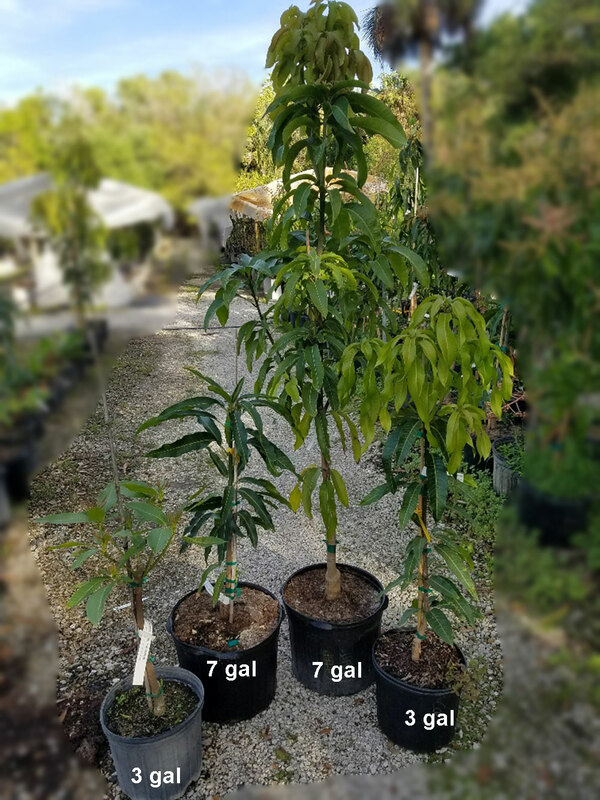 3130 Mangifera indica - Haden Mango, Grafted ? This variety is well-known because it originated in Florida and has been grown here since 1910. It has a good flavor, however, it is slightly fibrous and is succeptable to fungus. If you insist on "old haden" variety, this is it. The flesh has a full sweet flavor, and it is of good eating quality. The fruit is eye catching having a deep yellow base with a crimson blush. The tree is a vigorous large grower with an open rounded canopy. Relatively cold hardy variety. 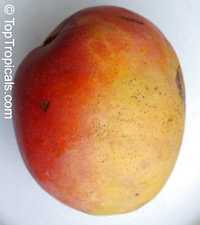 See more info about Mango varieties. 4289 Mangifera indica - Haden Mango, Large size, Grafted ?